Asimina. Annonaceae. Eight species of evergreen or deciduous subshrubs or small trees. Leaves alternate, entire. Flowers solitary or in small clusters at axils, bisexual, white or somewhat purple; pedicels pendulous; sepals 3, caducous; petals 6, in two whorls; stamens numerous, short; pistils 3-15; carpels 1-celled. Fruit a berry, ellipsoid to oblong; seeds numerous. Eastern N America. Z5. The only member of an otherwise tender family, grown for its handsome foliage, with fine, clear yellow autumn colour, and for the unusual, purple, cup-shaped flowers which give rise to edible fruits, Asimina triloba becomes a large shrub in mild maritime climates, although in its native zones it makes a low branching tree up to 12m high. 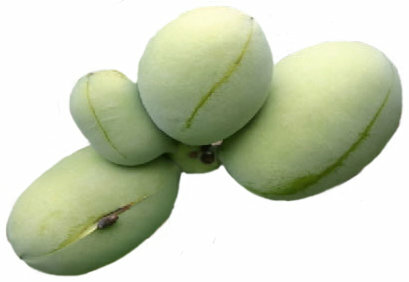 There is considerable natural variation in fruit size and flavour, which ranges from unpleasantly resinous to sweetly aromatic, and fruit is only likely to ripen during long, hot, continental summers; the fruit may cause dermatitis. Grow in sun, in deep, fertile, well-drained loamy soils. Avoid disturbing established plants. Propagate by seed, collected from ripe fruits and stratified for 3-4 months at 5ºC. PAPAW; PAWPAW. Deciduous tree or shrub to 10m. Shoots initially pubescent, buds naked, protected by rufus indumentum. Leaves 10-25cm, obovate-oblong; petioles to 1cm, decurved. Flowers solitary, axillary, precocious, 5cm diameter; sepals to 1.5cm, ovate, dull green, caducous; outer petals to 2.5cm, purple to maroon, inner petals reduced, banded yellow. 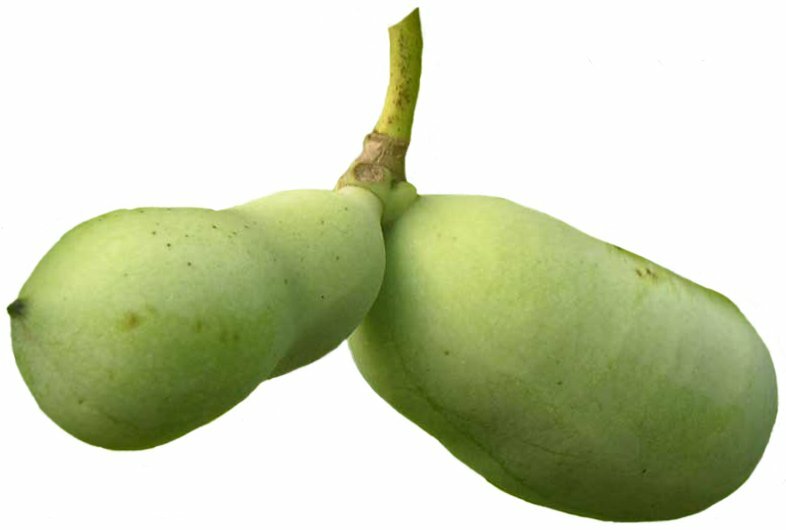 Fruit to 16cm, ovoid, green ripening yellow-brown, fleshy; seeds several, compressed. SE US. 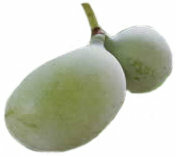 Cultivars include ‘Davis’: fruit medium sized, ‘Overleese’: fruit large, ‘Sunflower’: fruit large, few-seeded.